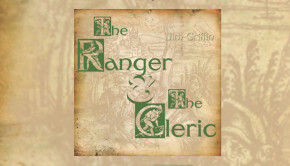 Three years ago I reviewed a strange but engaging album entitled The Ranger And The Cleric by Irish guitarist and songsmith Jim Griffin, and it pleases me to tell you that here is the follow up, released in November last year. Opening track An Ocean Mind, with its aquatic backdrop hung over a curious combination of light prog touches, semi-submerged Who-like riffage, some hard hitting drumming and an overall folksy approach establishes a pattern – Gordon Giltrap springs to mind. Containing not the only lyrics on To A Far City to be inspired by Lovecraft, the song establishes a mysterious but homely vibe that will deepen as the record progresses. Three minutes or so into the whimsical Clouds, the sudden introduction of a brutal drum hammering directly lifted from Bonzo’s essential backbeat to When The Levee Breaks raises a smile. At first it seems incongruous, but the reintroduction of the sharp melody line on top of its insistent rhythm makes all the sense in the world. As much as the poetic narration and the accompanying synth line that arrives later in the song, at any rate. This tune is the first part of a triptych, a musical suite ruminating on nature and mysticism, and the song cycle being “inspired by the haiku of Matsuo Basho”, the track times of 10, 14, and 10 minutes reflect the 5, 7, 5 structure of the classic poem. There is also something of the Celtic muse of Horslips woven into the musical fabric of this fine piece of magickal myth making, something that, given my own Celtic familial origins, I can well appreciate. A final pointer – if you are into the similarly dreamy infusions of fellow Celt Nigel Mazlyn-Jones, then you will certainly like what Jim has brought to the table. Clever use of synths and voice treatments throughout render this work as thoroughly modern as it is inherently ancient, and Jim’s love of Blue Ösyter Cult sees the interjection of the occasional guitar break from a heavier acidic universe. A calming, inspired and reflective album such as this, arriving as it does in times of strife and division is probably what we all need. 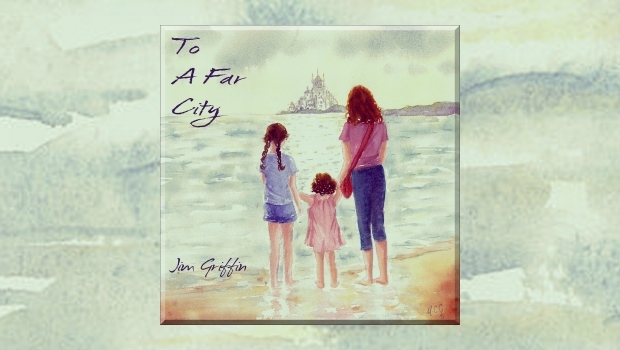 Written and performed by Jim Griffin, and featuring the voices of Dharma, Maya, and Lily.